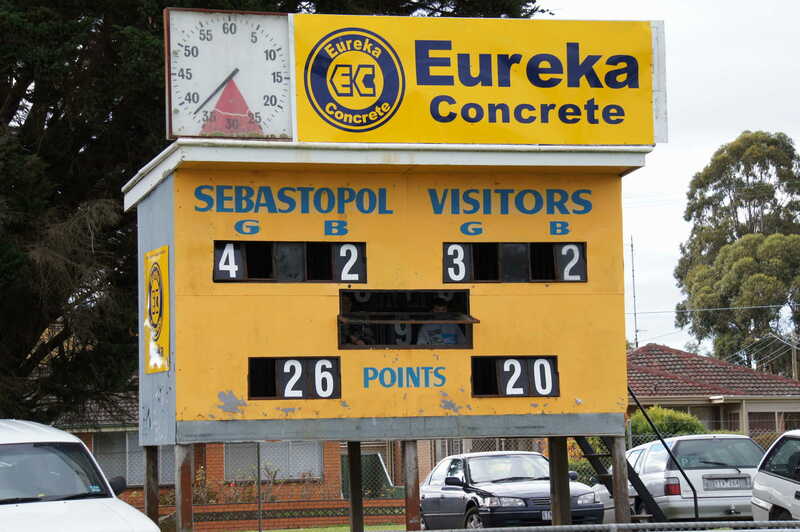 In light of recent events in the Crimea, it seems pertinent to run this photograph of the wonderful gold scoreboard at Marty Busch Reserve, Sebastopol (just south of Ballarat). Now, you don’t get too many gold scoreboards, although the old Williamstown board comes to mind ). The Sebastopol club hasn’t won too many games in recent seasons. 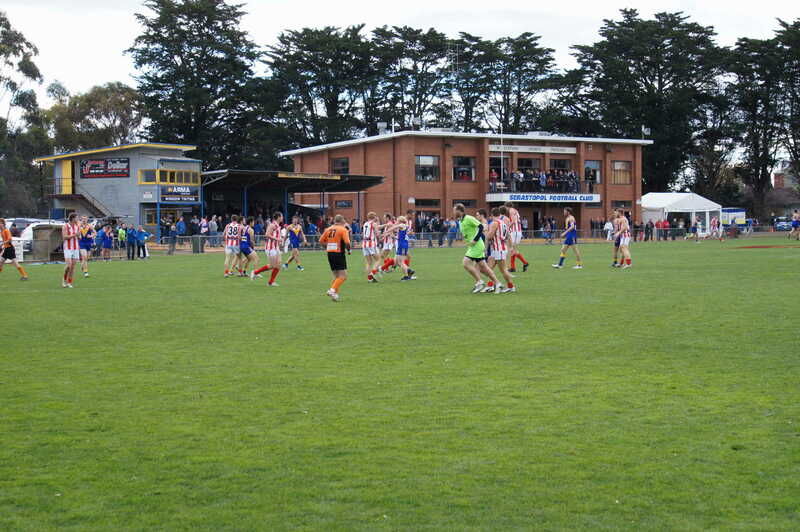 The pictures on this page were taken at a Sunday game against Ballarat in 2012. 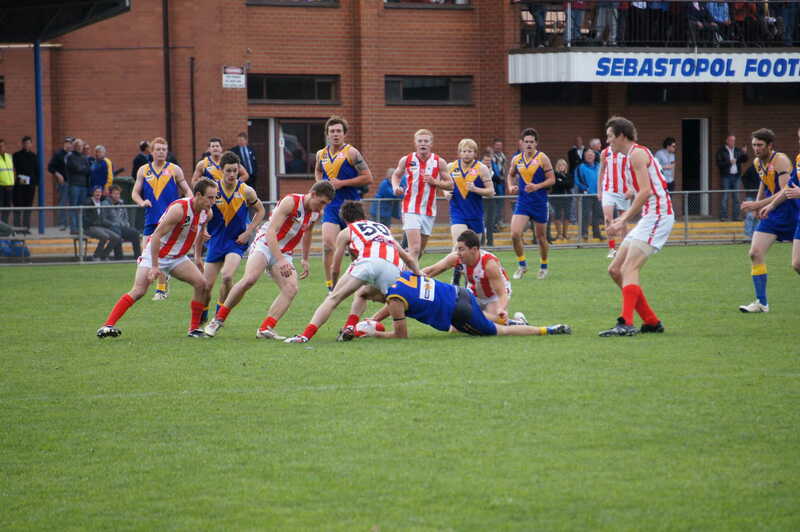 Although the Burras led early (as shown above), the more experienced Ballarat side prevailed, 17.17 to 11.7. Sebastopol has scored something of a coup in 2014 by signing former League champion, Phil Carman as coach. Hopefully the club will be able to make some progress up the ladder this season in the strong Ballarat competition.